I grew up in Southern California and moved to CO 15 years ago. When I grew up I always loved photography and got my B.A. in English Lit from Smith College, and Doctorate in Psychology from Pepperdine University. When I moved to CO I had a career change – I was burned out on the psychology and wanted to spend more time with horses. I bought a boarding stable and ran that for 3 years, then when I sold it, I started my business Living Images photographing horses – that was 11 years ago. I have been photographing wildlife for 28 years as an amateur before that. When did you first start writing about horses? I started writing about horses when I realized I could use my writing as an adjunct to my photographs in order to get the word out about the wild horses. When I was 4 years old – as soon as I could hold a camera! My first favorite subjects were my dog. What inspired you to write Wild Hoofbeats? I had a friend ask me why wasn’t I photographing wild horses about 5 years ago – and shortly after that I had a man called Jim Beal contact me about wild horse tours in WY. I went with him and immediately fell in love with the wild horses. One of my very favorite encounters from that first trip was with the horse I call the Grey Stallion in the book. I found myself returning again and again to spend time with an photograph these wonderful animals, and as I did I learned how precarious their situation on public lands has become. I realized that if I did not do something to help them, soon there would be no more horses left to photograph, and no more wild horses in this country. This is where the idea for the book was born. could take to help them. I can’t say I have thought about this. I have always preferred writers with a simple clean style. C.S. Lewis’ Space Trilogy and the Harry Potter Books. No animal in particular as a muse – I love wildlife and have always loved horses. No particular rituals – I have to say that my favorite thing to do is to photograph and so the writing is not my favorite part – sometimes it is a struggle to get going! Probably the most inspiring place I have been is anywhere there are wild horses and open spaces. There is a peace and a calm when I am out and all I can hear is the wild blowing and no one else is around for dozens of miles, and the horses are interacting, or resting – there is a peace that comes over me that is profound and I feel so connected. How do you feel about Madeleine Pickens’ plan to rescue the BLM animals? I have mixed feelings. It is a wonderful thing that Mrs. Pickens is willing to help the horses and put her name and money behind this plan. However, once the announcement went out that she wanted to save all 33,000 horses in holding that were at risk of being euthanized, then everyone assumed, oh, those horses are taken care of – and that is simply not the case. The BLM rejected her plan and I know she is still working to find some sort of solution. However, she also offered to take any horses from now on from the BLM – which really opens the door for them to continue rounding horses up at an alarming rate – I do not want the only horses left to be the ones on Madeleine Pickens’ ranch! 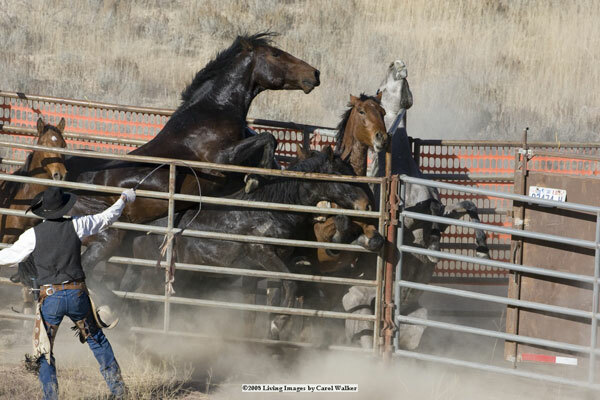 These horses belong on public lands – they are our horses, and the BLM needs to work things out so that the horses do not continue being squeezed out. America seems to suffer from? Is there a way to save them all? Right now the ROAM act, HR 1018 is coming up for committee markup in the House and will hopefully move to the House floor for a vote. 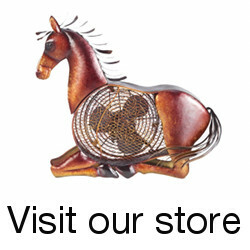 This site is also a tremendous resource full of information about the current situation plus all the background about wild horse issues in this country. There are less than 24,000 wild horses in the wild – there is room for all of them on our public lands – but the agricultural interests MUST share. 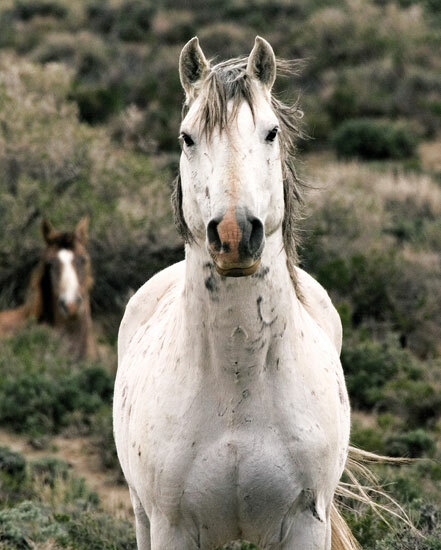 The Bureau of Land Management has done a terrible job managing these horses and there should be an entirely new agency managing them with their interests first. You might want to take a look at some shocking roundup photos I took last fall in Colorado. The contractor doing the roundup, Cook, is notorious for having horses injured and mistreated, and this one little mare flipped over and was trampled by other horses – there was no excuse for this. Of course I have complained to the BLM about this and nothing has changed. I am passionate about animals being protected – for example all the species that are at risk with global warming, like the polar bears and the penguins, and also animals that are threatened by man’s inhumanity like the wolves. Just finished my 2010 Calendar which will be the Cloud Foundation Calendar, featuring the wild horses of the Pryor Mountains. 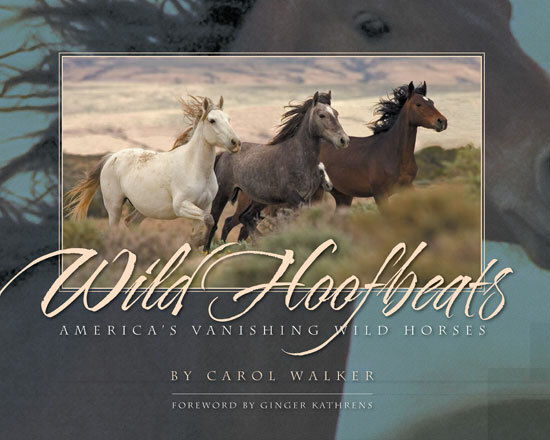 I do have a second book brewing about the wild horses and I think things are going to be changing so fast over the next year that there will be lots of new information to share. 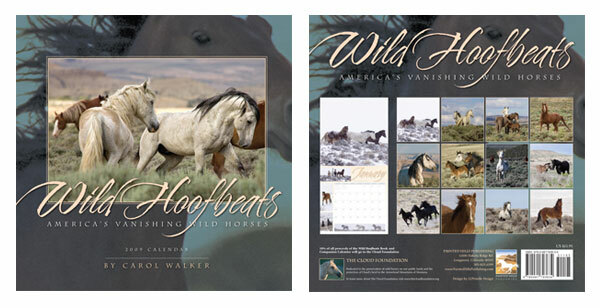 The book and calendar are available now and you can purchase them directly through the Wild Hoofbeats website. Thanks to Carol for answering the interview and sharing her art. Be sure to check out her photography periodically for updates about her latest works. This entry was posted in Interviews on May 26, 2009 by The Equinest. 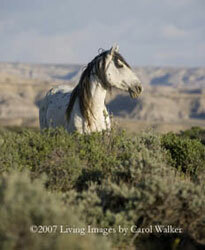 would love to lend a voice or email to help wild horses. Stunning!! Fantastic photo’s!! Keep writing and yes please keep on taking those photo’s!! I have just completed a pastel painting of ‘Trail Horses, Bodie, CA’ from a photograph a friend sent me who went on the Bodie Ride in 2009. I entered it in a show at the Pacific Art League, Palo Alto, CA, and it was juried in. I’ve made a limited edition of 100 archival quality prints. Horses are my passion, and I want to do a series of wild mustangs for my own pleasure, for a show (or gallery) as well as a source of income from my art. like permission to do paintings from your superb photographs. Can we talk? 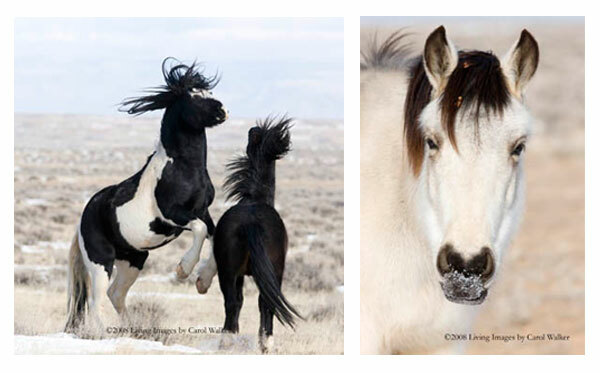 spirit of these horses in their wildness moves me to create something more.